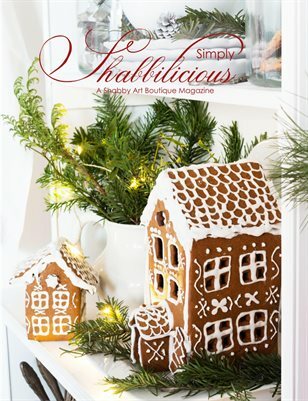 Simply Shabbilicious magazine presents our beautiful Christmas 2017 issue. There are 98 pages celebrating all that we love about shabby chic, cottage and Scandinavian decorating at Christmas. We know you'll be inspired by the handmade creations, whimsical Tildas and mischievous Maileg Pixies.